Archives of ethnology, folklore and in related fields (e.g. folklore archives, ethnological archives, oral history archives, sound archives, archives of cultural and literary history, cultural heritage archives) serve as a crucial part of the world’s social memory and cultural heritage. The SIEF Working Group of Archives builds a much-needed network between these archives, between scholars working in these archives and scholars working on them. These archives encompass historical and cultural heritage dimensions and function therefore also as repositories of knowledge in and of our field(s). The concept of the ‘archive’ is taken broadly as it includes also collections of materials which are gathered randomly, formal organizational archives of research institutions, and ‘research data’—the collections and personal archives of individual researchers. The working group also proposes to examine the role of archives in the changing archival world. It is important to understand the different processes in which the collections are and have been produced in different temporal, social and geographical contexts. Moreover, questions on privacy versus openness and the controllability of research are important concerns with both theoretical and ethical dimensions. Therefore the working group also wants to involve scholars dealing reflexively with archival material in their research. The mission of the working group is to bring together practitioners and theorists in archival research and in the relevant fields of the humanities. The working group will accommodate representatives of various disciplines (just to name a few: archivists, folklorists, ethnologists, historians) working in archives and people from the same professions working on archives. The working group also proposes to examine the role of archives in the changing archival world. It is important to understand the different processes in which the collections are and have been produced in different temporal, social and geographical contexts. One of the main concerns is to establish necessary standards and practices for the management and long-term storage of records and archives: from the oldest documents to the management and storage of the documentary heritage of the Internet era. Best practices should be created by sharing experiences in an international network of archives. Traditionally, the main role of the archives has been to collect cultural heritage materials, to protect the collected items and make them accessible. 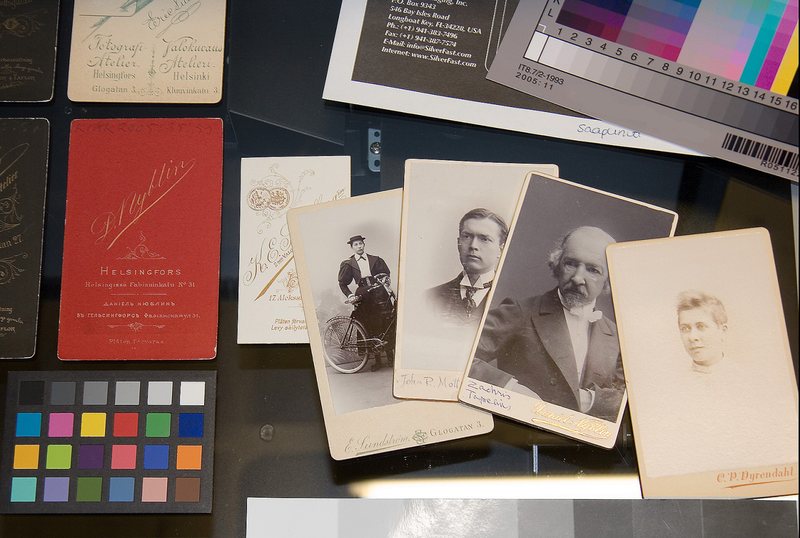 The materials in archives have traditionally existed and still exist in the form of friable paper, brittle sound tapes, or fragile photographs, and the archives continue to take care of all these unique documents. However, during the past decades, major change has taken place in the work of archivists. To an ever increasing extent, archives are turning digital as original (analog) materials have been digitized in order to protect and secure the items. The Internet has opened up entirely new possibilities to make archives accessible for a wide audience. Moreover, more and more materials of interest for archives are created digitally, either expressly for the archive, as e.g. fieldwork recordings, or as products of cultural expression and communication, which has to a great extent turned digital as well. In fact, the Internet has become one of the most essential links in the circulation chain of the tradition. We want to follow these changes, both in our understanding of digital and born-digital material, and with regard to possibilities for storage and access to the growing number of new forms and formats of records. long-term preservation of digital items: the digital world is changing very quickly, so it is essential to follow international standards in file formats and metadata, as well as to provide secure storage means. using IT possibilities in order to bring archival materials closer to people, to involve people in the work with archival materials in such a way that they could enjoy it and at the same time acquire the knowledge they need (crowd-sourcing actions, collection campaigns, gamification, more than mere “making accessible archival materials”). The role of archives is to find solutions for storing the essential documents that represent the social and cultural memory of our own time. The aim of the working group is to share and disseminate the knowledge and experience of the various archives on these questions, to discuss standards and practices, and to facilitate the cooperation and enhance the interoperability of archives. Fulfilling these tasks for the future will be difficult without creating proper criteria and practices for creating and maintaining digitized records and for digital-born culture, including the ephemeral world of the Internet. It is not enough to store documents if they will not be accessible, today and in the future. During the 11th international SIEF congress, Tartu, July 2013 the participants of the panel entitled The Role of Archives in the Circulation Chain of Traditions decided to propose to the Board of SIEF a new working group with the title The [SIEF] Working Group on Archives. Subsequently during fall 2013 the working groups tasks were drafted and the group was officially established. The conveners of the panel were Risto Järv and Mari Sarv (Folklore Archives of the Estonian Literary Museum, Tartu), Kelly Fitzgerald (University College Dublin), and Gary West (University of Edinburgh).